A new era begins for your crypto asset: the ERC-20 token bird is about to leave the Ethereum nest and become an independent mainnet coin. Usually, the swapping process from ERC-20 to mainnet is associated with lots of inconveniences, long sleepless nights for development and marketing teams and fear of investment loss for the community. With this article, we’ll help you to easily overcome all the doubt and challenges during your mainnet space trip! Remember when you decided to run your crypto project and issue a cryptocurrency, it seemed quite logical to opt for the ERC-20 standard to avoid unforeseen expenditures at the very beginning of your start-up. But that time has passed and now as you’ve grown big enough to launch your mainnet, it’s time to spring into action. Why actually leave the comfort zone and start a swap? The reasons can differ from case to case. However, the main one lies in independence. Once you’ve launched your coin, you become the one in charge! The other reason is the possibility to share your mainnet with others, thus kindly providing small startups with an opportunity to become a token on your mainnet. What’s important it gives you space for maneuver and attracting new users to your platform. Why Swap your Token with Changelly? Token Swap is not a one-day story. It is a process that takes a significant amount of time to be completed. For that reason, Changelly creates a brand-new webpage dedicated exclusively for your token swap. This web-page mitigates the swap process and is designed specifically for your project’s token swap. Follow the AION token-swap link to see how Changelly team organized this process for AION team. When doing the swap you don’t do the exchange itself. Hence no commission is charged for the procedure, other than the Ethereum gas cost for the transaction. In fact, users send us your ERC20 token, we burn it and fill up their wallet with the same amount of native mainnet coin. This procedure allows your users to have the same amount of coins as they had tokens, thus feeling comfortable. 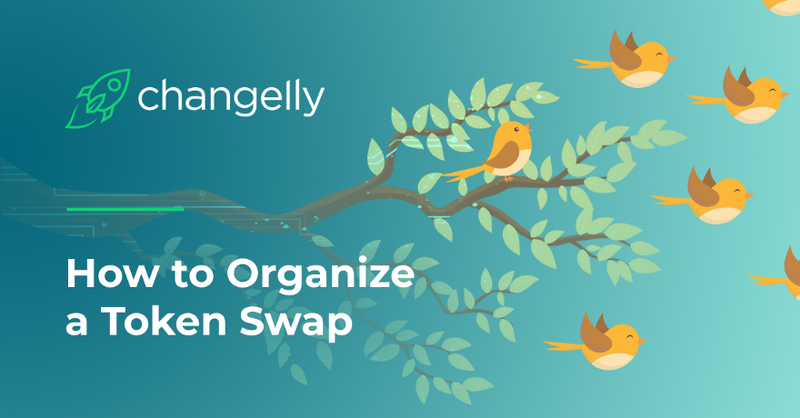 Changelly token swap is convenient and transparent either for platforms and its users. We provide daily reports with detailed information on the amount of tokens swapped and burnt, along with the total number of swaps. Changelly’s support ninjas are real beasts and our biggest pride. They provide Changelly customers with 24/7 smooth support and the average response time of 3 minutes. Not many products on the crypto market can boast of such quality service. When it comes to the token swap, we go even further and train our customer support on the specific token-swap issues. Thus, our support crew can help your users, answering any emerging question. You have managed to deal with every technical aspect of the swap, and now ready to move to your own mainnet. However, there is one thing that is almost as equally important as the technical side of the question — informing your community. You don’t want them to stay with the outdated ERC20 tokens, do you? Instead, you want them all to switch to a new coin. Here are simple steps how to do it. Simple as it seems but yet extremely useful mean to inform your community. For those who are not a frequent guest of your website, a newsletter would work perfectly. It is vital not only to tell your users that you are going to make a swap but also show them how easy it is. It can be a Medium post, video guide or anything else. You are limited by your imagination only. Spread a good SEO-material to online media. Make your article be the first to appear in the search results. Thus you may not only inform your community about the swap but also attract new crypto-enthusiasts to purchase your mainnet coin. He is the leading guy, the most prominent expert of your soon-to-become coin and it was him who started the swap! Let him tell why he decided to do it, share his goals and explain how the community would benefit from it.